Welding process parameters and the interaction between them show a major effect on the clad bead shape. 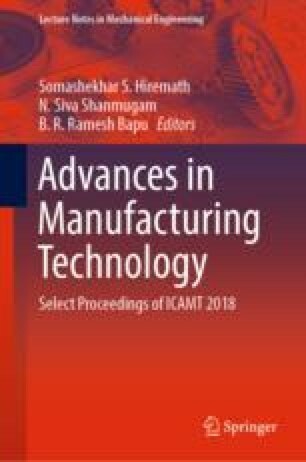 This work focuses on an experimental study of clad bead shapes and analyzes the interaction between the welding process parameters by depositing ERNiCrMo-10 cladding on AISI 4140 steel by gas metal arc welding (GMAW) process. The experiment is performed with three factors and three levels, and mathematical models are developed using the response surface methodology (RSM), and the adequacy is checked using ANOVA. The model developed using RSM is analyzed using interaction surface plots.